By Martin Kihn. Pantheon Books. $22.95. 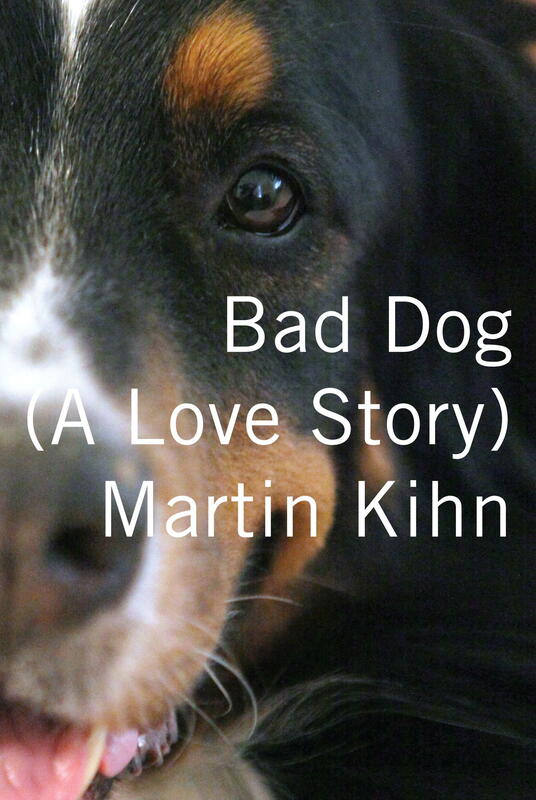 Martin Kihn captures that poignantly in this clear, crisp account of how his four-legged “co-pilot” Hola serves up one life-altering challenge after another while giving the author a single purpose: Put a Canine Good Citizen title on that dog. The CGC is, as Kihn explains, “a test of training and temperament,” given by the American Kennel Club. In other words, it’s a Good Housekeeping Seal of Approval that your dog’s behavior is acceptable, no matter what the setting. Passing this 10-step test, however, requires teamwork and mutual respect between owner and animal, both of which are missing at the outset here. Both Kihn and Hola are pieces of work, which makes the CGC target even more formidable. Kihn is a recovering alcoholic and Hola’s unruly behavior results in a bite to Kihn’s wife Gloria, prompting her to move out of their New York City (Manhattan) co-op and into their vacation home in the Catskills. “Bad Dog” is packed with psychological landmines and mixed messages from friends to trainers, Hola’s training challenges and Kihn’s lack of assertiveness. . . “Dogs have feelings, the same ones we do. It’s obvious. They’re just much more committed to them. Adding to the household dynamics is Miss Ruby, an adult cat Kihn is given by a friend. Ruby and Hola become fast friends, with the cat becoming Hola’s “new master” rather quickly. A short history lesson in U.S. dog obedience followed by a lyrical narration of memories and impressions of the Hola/Kihn team’s exasperating trek to an eventual CGC test leaves the reader rooting for the pair every step of the way. Building trust and utilizing empowering resources are at the heart of this journey aimed at capturing self-respect and reaching a lofty objective en route. Throughout, the fact-based narrative poignantly illuminates the fragile verity surrounding dog ownership and commitment. It is a story we hear all too often, but in this refreshing context we’re left with an exhilarating feeling that hard work pays big dividends.